Saltillo native Emily Barnes, has kept busy this semester as one of the SOE’s new Social Media Champions. 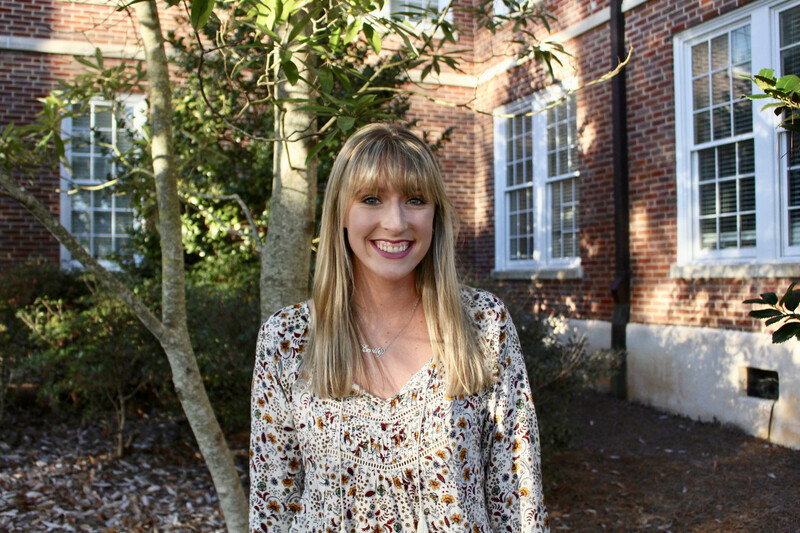 The secondary English education major knew from an early age that education was her passion and has since found her home away from home here in Guyton Hall. Between her teaching observations at Lafayette High School, classes and social media work, Emily found some time to sit down with us and discuss her experience at the SOE. I was always that kid who wanted to play school with my friends when we got home from elementary school. I’ve always wanted to be a teacher. A lot of my family is in nursing so it’s always been second nature to me to want to help people, but in a different way. If I couldn’t be a teacher, my dream job would definitely be a famous movie star. 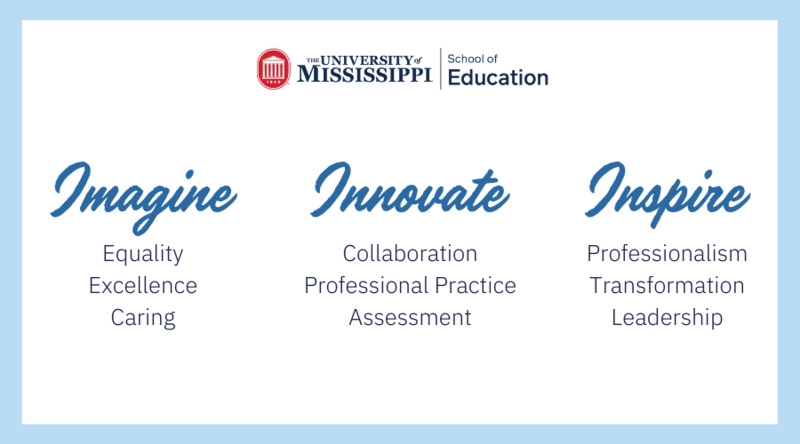 I want to stay and teach in Mississippi, and stay close to home. I definitely see myself in a high school classroom. I loved my Music and Movement class with Dr. Stapp. It’s really fun because she put things into perspective that I never would have thought about. She was able to incorporate things that I could never think of. It’s a lot of fun. What has been the most difficult part of your program? It can be hard to balance observations, classes and just everyday life. But, if this is what you truly want to do, you just have to make time for it. I’m doing my observations in a ninth-grade classroom at Lafayette High School right now. I didn’t realize this when I was in high school, but high-schoolers ask a bunch of questions. They just shout of what they’re thinking no matter what time it is or what’s going on. What do you like most about being an SOE student? Everyone is so nice and welcoming. I’ve met so many friends that I wouldn’t have met without the School of Education. As we get further in our degree, our classes are getting smaller and we get to know each other better. I like to read. I just started reading Lovely Bones, so I’m looking forward to finishing it. Do you have any advice for students who want to pursue education? Do it—it’s so much fun and you won’t regret it. I’ve met so many friends from all over the country. I met one of my best friends because of the SOE.